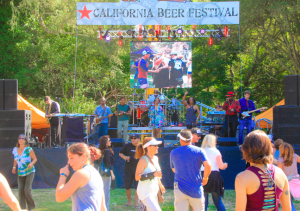 The 2016 California Beer Festival (CBF), at Aptos Village Park from Friday, Aug. 12 through Sunday, Aug. 14, is the final celebration to cap off Santa Cruz Beer Week (Aug. 7-14). See the Santa Cruz Waves Beer Week site for details on lots of activities including a collaboration between burger and Elkhorn Slough Brewing Co. at burger’s Aptos location on Thursday. Tickets range from $10 on Sunday to $99 for a three-day VIP pass that includes lots of benefits. Live music includes Sambada (Friday night) and Prince tribute band The Purple Ones (Sunday). Saturday, Aug. 13: “Craft Beer Heaven” (Gates open at 12:30 p.m. and beer sampling is 1-4:30 p.m.). There will be more than 85 craft beers available plus live music, food, and bocce ball. You must be 21 years of age or older to attend. General admission is $50 and VIP tickets are $75. Designated driver tickets are $25. Sunday, Aug. 14: “Sunday Funday in the Park” (11 a.m.-6 p.m.) There is no beer sampling on Sunday but there is beer and food for sale. That day, kids 12 and under are free. Anyone over 12 pays $10. Families are encouraged to attend and people can bring lawn chairs and blankets. 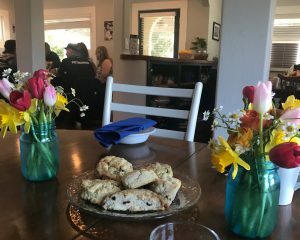 Festival profits benefit the Gen Giammanco Foundation, a non-profit organization that provides financial support to student athletes in Santa Cruz County. If you are a foodie and haven’t yet discovered Pino Alto Restaurant, it’s a secret worth sharing. I just had the pleasure of dining there for the first time. 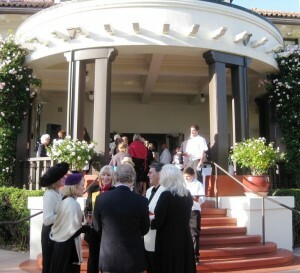 The Cabrillo College culinary arts department operates Pino Alto, which is located in the historic Sesnon House on campus. It’s open during the fall and spring semesters, Sept.-Dec. and Feb.-May, and the Cabrillo Horticulture department grows a lot of the produce served. Students from the “Advanced Culinary” class are the ones who run the restaurant (with instructors’ supervision, of course). 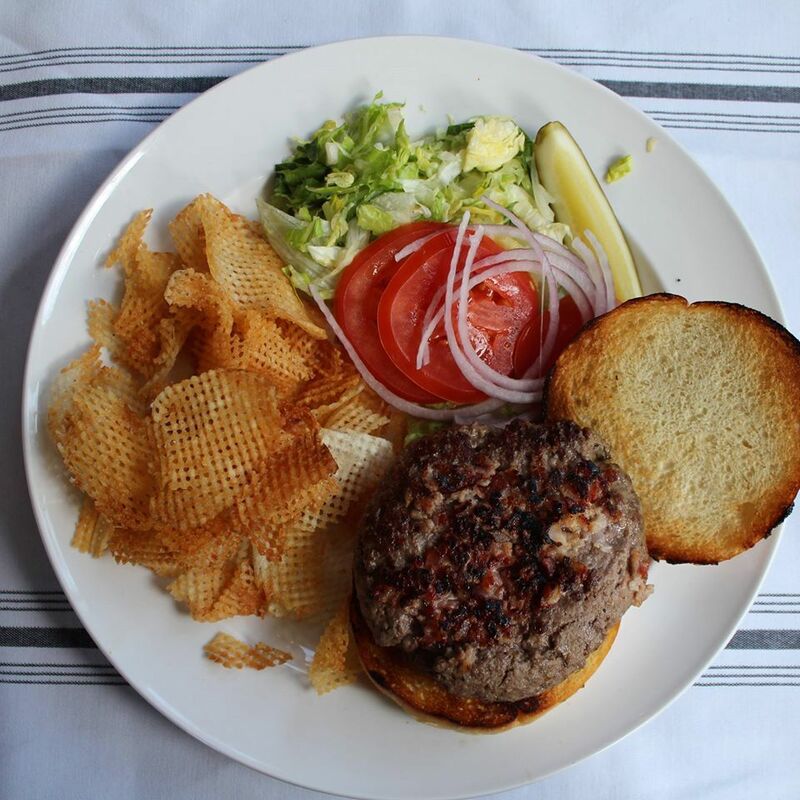 Lunch is served Mon-Thurs and dinner Wed-Fri. See the site for specific hours and menus. There are also special events like a farm to table dinner this Friday, Nov. 6: keep reading for details. I dined at Pino Alto in late October; the menu I ordered from is available through Thursday, Nov. 5. Dinner menus change every 3-4 weeks and lunch menus change weekly. A tapas-themed dinner menu will debut on Nov. 11. From the moment we entered the restaurant, everything was wonderful. Staff (culinary students) were very attentive, checking often to see if we needed beverage or bread refills (the bread was warm and fresh, so it was hard to say no, but I wanted to try several food items). The meal began with a complimentary salmon cake starter that they referred to as an amuse bouche, but it was bigger than the traditional one-bite amuse. Actually, I was pleasantly surprised by the generous sizes of all the courses! The salmon was delicious and moist, and the cake had a nice crunch. Chive masarpone provided a creamy, perfect topping. I had the chance to sample my husband’s crab-stuffed prawns with mango corn salsa, which was very tasty. Beet soup with ginger and coconut, garnished with a beet chip and crème fraiche, followed. It did not disappoint! All dinner entrees are accompanied by your choice of soup or salad. My husband ordered the sirloin and it was divine; he pronounced it “buttery and tender.” My entrée was probably my favorite dish that night. I chose a wild mushroom cassoulet with artichoke hearts and onion confit. 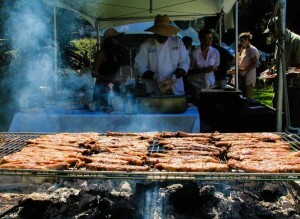 It was earthy and rich; the flavors and textures complemented each other beautifully. 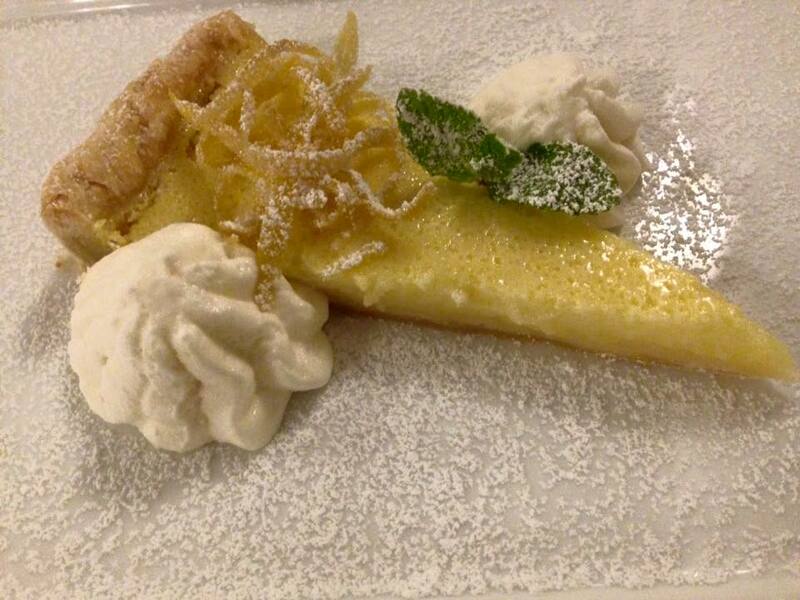 For dessert we shared a lemon buttermilk tart topped with vanilla whip cream and candied lemon rind. Let’s just say, it rocked our world and we sort of fought over the last bites. This was Ashley’s creation. She had the opportunity to work at Companion Bakeshop this past summer, and was inspired to create this tart after trying Companion’s Buttermilk Meyer Lemon pie, which she tasted at Pie Ranch up the coast. Carter likes the fact that he gets to operate a restaurant that is well regarded in the community, and also influence many students’ lives in a positive way. He sometimes hears this from students years after they’ve finished the program. 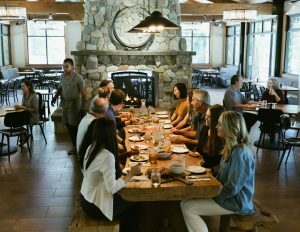 The farm to table dinner on Nov. 6 will be a four-course menu with wine pairings, featuring lots of ingredients sourced from local purveyors like Jacobs Farm, Live Earth Farm and Stagnaro’s Seafood. The wine will be from Savannah-Channelle, Hunter Hill, Clos La Chance, Mountain Winery and Burrell School. See full menu below. The cost is $65 per person plus tax and gratuity. A reception starts at 6:30 p.m. with dinner at 7. For reservations, call (831) 479-6524. Carter hopes to see some new faces as customers in the near future. I can’t wait to go back myself. If you’re interested in getting on the list to keep informed about when Pino Alto is open and viewing current menus, Carter suggests writing to Sue Slater at suslater@cabrillo.edu. Three passed hors d’oeuvres: Jacobs Farm chive flatbread with garlic and brie; olive oil toasts with kale, feta, pine nuts and raisins; and ceviche on crispy won tons. Saturday, August 8, is the one-year anniversary of the opening of Aptos’ Cantine Winepub, and it’s celebrating with a day of special pop-ups with local winemakers, brewers and cider producers. Owner Jason McKay is very excited about this milestone, as it’s the realization of a lifelong dream for him—one in which he would create a space for people to come together, enjoy great wine and beer, connect, and relax. “It’s been a great first year – being part of the Aptos and Santa Cruz Community,” says McKay. On Saturday afternoon, attendees can enjoy music from DJ Dustbowl aka Amee Chapman plus wine tasting with Sante Arcangeli. The evening festivities will feature live music by El Quarto Verde, beer tasting with Uncommon Brewers, and cider samples from Reef Points Hard Cider. If you’re unfamiliar with Cantine, it offers a diverse range of wines, craft beers and artisan foods in a comfortable lounge setting. The winepub traditionally offers six to eight wines on tap, with a featured wine-by-the-glass menu that changes daily. This way, frequent customers always have something new to try on each visit. Recent options have included wines from Alfaro, Kathryn Kennedy, Big Basin, Salmandre, and Force of Nature. The winepub’s food menu features tapas that are designed for sharing. These are created using seasonal ingredients. Selections may include cheese and charcuterie trays; Kelly’s Bakery focaccia; house-made meatballs in slow-roasted tomato sauce; tortilla Espanola with sherry-braised onions, manchego, and chorizo; marinated kale salad; and roasted beets and fennel with crumbled goat cheese and citrus balsamic dressing. In addition to wine, there are eight domestic craft brews on tap (Discretion Brewing, Sante Adairus, and more) and over twenty beers, ciders, mead and other beverages by the bottle. August 2, 5:30 p.m.-close: Beers from Discretion Brewing will accompany food at Assembly during a special beer-themed dinner. Santa Cruz Waves hosts the evening, which will include “Summer Fish Fry with Song of My Heart battered cod, shrimp, chickpeas, green beans, and new potatoes plus malt vinegar aioli; mussels with Uncle Dave’s Rye smoked ham hock broth; and buttermilk bran cake with Oh Black Lager ice cream and caramelized bananas. August 3, 5 p.m.-close: There are two events: the first is at The Hophead Public House in Scotts Valley, featuring Lagunitas Brewing Company. The second is “Nubo Brew & BBQ” at New Bohemia Brewing Company on 41st Ave. Surf City Sandwiches will provide BBQ sliders and side dishes. 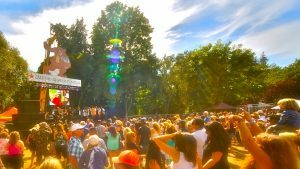 Young & Lowe will perform music from 6-8 p.m.
August 7, 5:30-8:30 p.m.: A beer and food pairing competition will be held at Aptos Village Park. Five breweries and five restaurants are competing. There are also events August 4, 5, and 6. 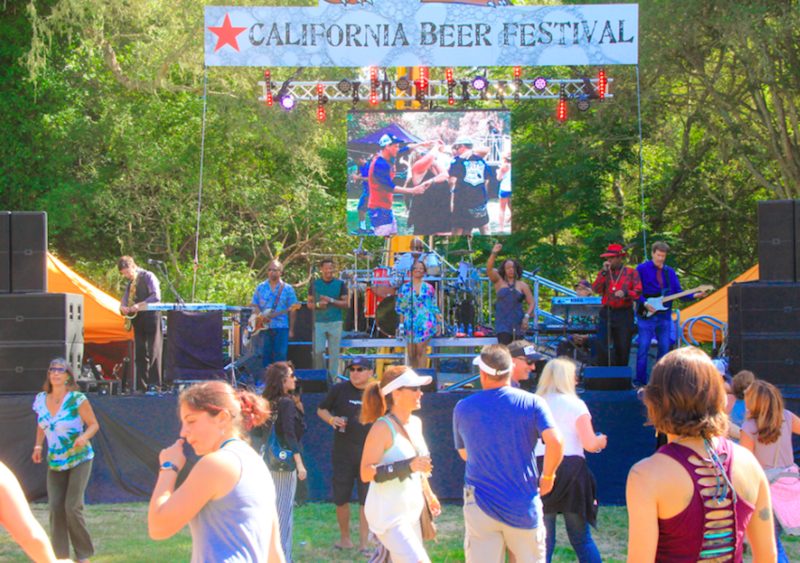 The official three-day California Beer Festival is at Aptos Village Park Saturday and Sunday, August 8-9. Tickets range from $10 general admission for Sunday (no food or beer included), to $99 for a three-day VIP pass that also includes the Friday night competition. There are several a la carte options. Saturday’s theme is “craft beer heaven” and Sunday it’s the “hamburger and hops music festival” with live music. There is no beer sampling on Sunday (but there is beer and food for sale). That day, kids 12 and under are free. If you’re interested in attending the festival, see the website for advance tickets. Saturday hours: 12:30-5 p.m. Beer sampling: 1-4:30 p.m. There will be more than 85 craft beers on tap, live music, food, and bocce ball. You must be 21 years of age or older to attend. Sunday hours: 11 a.m.-5:30 p.m. Proceeds benefit the Gen Giammanco Foundation, a non-profit organization that provides financial support to student athletes in Santa Cruz County. 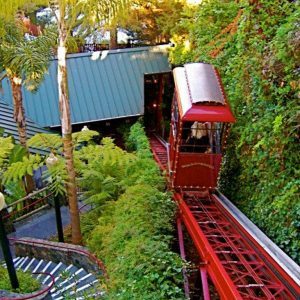 Some of this is more recent restaurant news for the Santa Cruz area, and some is much older. I recently discovered that quite a few people I know weren’t aware of certain closings, so I am distributing information that might seem out of date to those who keep on top of local restaurant news. 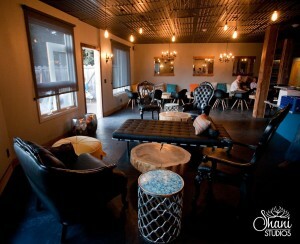 The Hideout opened in Aptos in January. I haven’t made it there yet, but I’ve been hearing positive comments. It’s open every day from 11:30 a.m. to 9p.m. 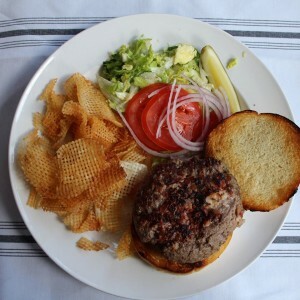 except Tuesdays, when it doesn’t open until 5 p.m. Sandwich/burger selections include Reuben, roasted vegetables with goat cheese, grilled chicken club, and a signature burger with a ground beef/bacon patty and crumbled bleu cheese (see photo above). Dinner entrees served after 5 include Merlot-braised short ribs, pistachio-crusted chicken, New York strip, and Petrale sole piccata. Several pasta dishes, soup, salads, sides, and starters round out the menu. Mutari Chocolate House is opening in early March; co-owner Adam Armstrong says they’re aiming for March 5th. He and his brother Matt will be the first tenants to officially open in the Food Lounge, the new venue from Andrea Mollenauer of Lifestyle Culinary Arts. They create their product Mutari Hot Chocolate on site. This chocolate is “Stone Ground Bean to Bottle” made from cacao that is “always certified organic and ethically traded (and mostly Rainforest Alliance Certified).” You can enjoy hot chocolate at the Chocolate House or buy your own bottled mix to take home — it’s also sold at retailers like Artisans Gallery so you may have noticed it in the last few months. Learn more at mutarichocolate.com and facebook.com/mutarichocolate. I got to experience a hot chocolate tasting at Mutari last fall when they had their factory at Front St. Kitchen and I really liked the varieties I sampled. The new Chocolate House will serve coffee, hot chocolate, sipping chocolate, mini cupcakes (from Buttercup), and more. More on the Food Lounge: Mollenauer and partners Cat Hernandez and Sally Kane are launching this unique space that has lots of options including: you can throw a party there, have an event for your business, or attend a pop-up. Other tenants at the Lounge include Fogline Farms, Ocean2table, and Mortal Dumpling. Officially the Food Lounge will be an “innovative community-minded event venue, commercial incubator kitchen, and full-service food hub aimed at fueling, educating, and inspiring Santa Cruz.” Visit scfoodlounge.com to sign up for the email list. Verve Coffee is opening a new location at 1010 Fair in Westside Santa Cruz at some point in the future, in the former spot of Chimera Tattoo. This is the same plaza where Bantam Restaurant is located. Sushi restaurant Benten closed Jan. 31. Noah’s Bagels closed on Feb. 24. Santa Cruz restaurant The Greek closed at the end of November. A permit taped to one of the restaurant windows indicates a Korean eatery will be opening in the future. A post on the restaurant’s Facebook page mentioned that owner Vasili was retiring (yes, this is the same Vasili that formerly owned Vasili’s in Westside Santa Cruz). Soif is closing in late March for a few weeks, to do some remodeling.